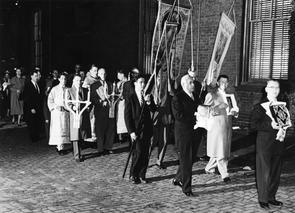 Easter procession with men carrying banners, bible, and candles outside church. Fr. Alexander J. Fedoronko, pastor.